What Are Ice Dams, and How Do I Stop Them? You are here: Home / Blog / Roofing / What Are Ice Dams, and How Do I Stop Them? Ice dams are some of the biggest threats to the structural integrity of any roof. The water that backs up behind them puts your home at risk of moisture damage. Considering that their weight is a hefty burden to bear, your roof could sag or collapse if its frames lack the strength to support them. Ice damming happens when the plane of the roof is warm enough to melt the snow falling on it. The water then re-freezes upon reaching the colder eaves, becoming icicles along the overhangs. Roof portions with a temperature above 32 degrees would suffice to turn snow into liquid while those below 32 degrees would almost certainly ice up. How Do I Prevent Them From Occurring? Sealing the Gaps – Any experienced roofer would say that proper insulation is one of the most important things to stop ice damming before it happens. Air leakage in the attic results in heat loss, causing the underside of the roof to become warmer than the outside temperature. Flawlessly installed insulation seals the tiniest of gaps and prevents most of the heat coming from the rooms below away from the attic space. Ensuring That There’s Good Ventilation – Adequate ventilation matters to reduce the chances of heat buildup and moisture accumulation in the attic. With a balanced system of intake and exhaust vents, your roof can remain cool and dry even during the peak heating load. Having a Sloped Roof – Any reliable roofing company would agree that steep pitches are more effective in shedding snow and water than flat slopes. Gravity is an excellent ally for drainage. 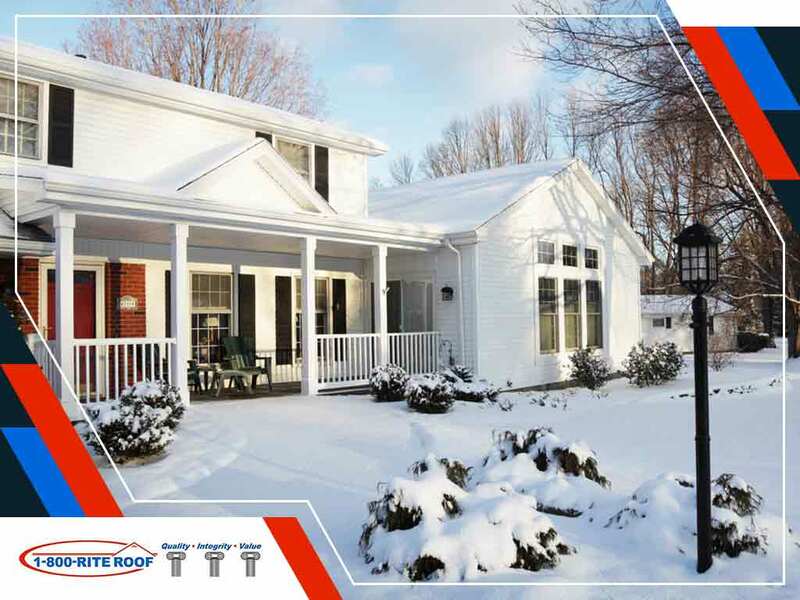 Turn to 1-800-Rite-Roof to effectively inhibit ice damming. Call us at (262) 373-3800 now to discuss your roofing needs and to get your free estimate.